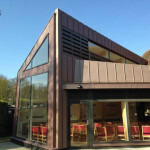 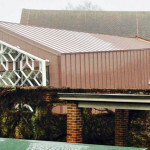 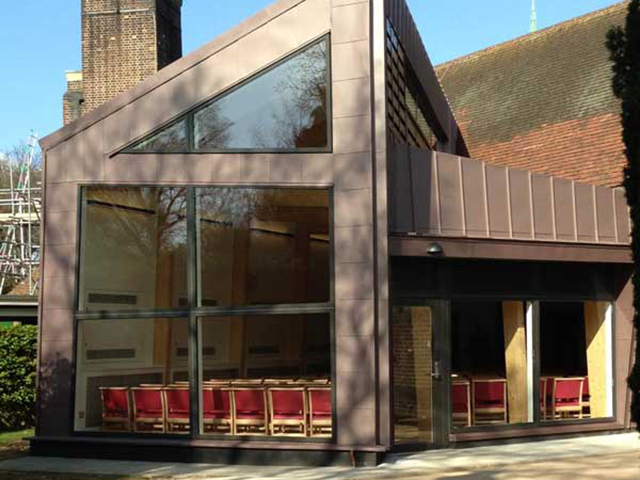 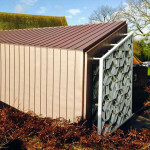 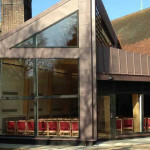 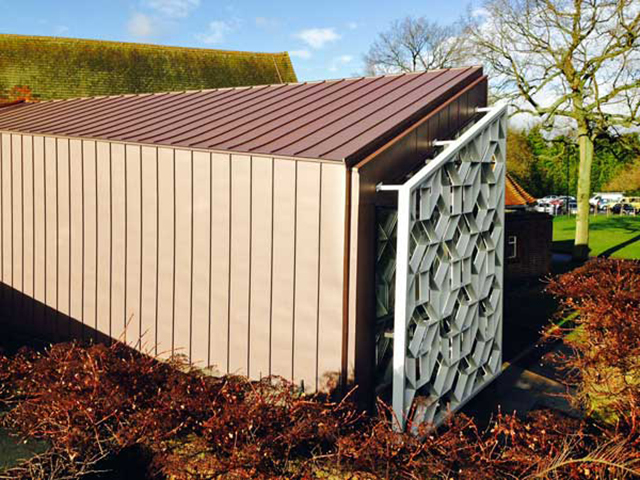 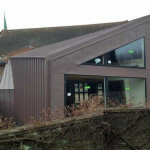 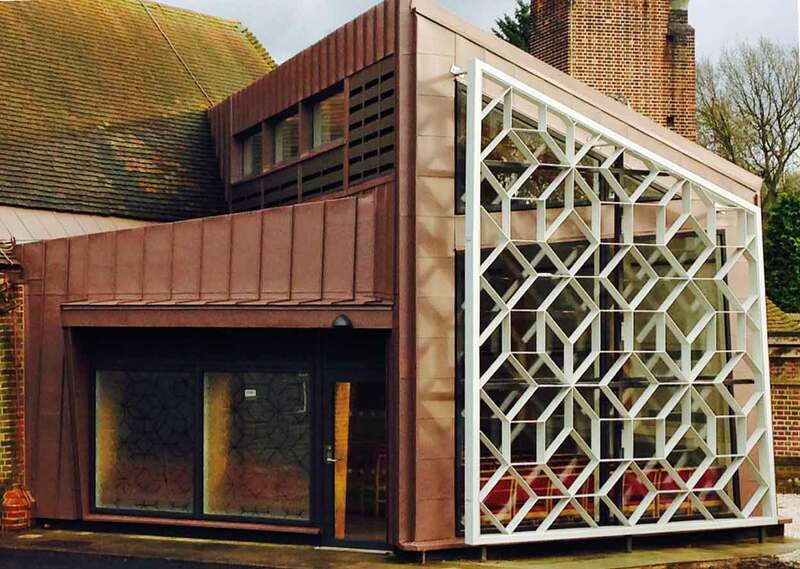 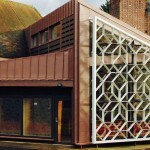 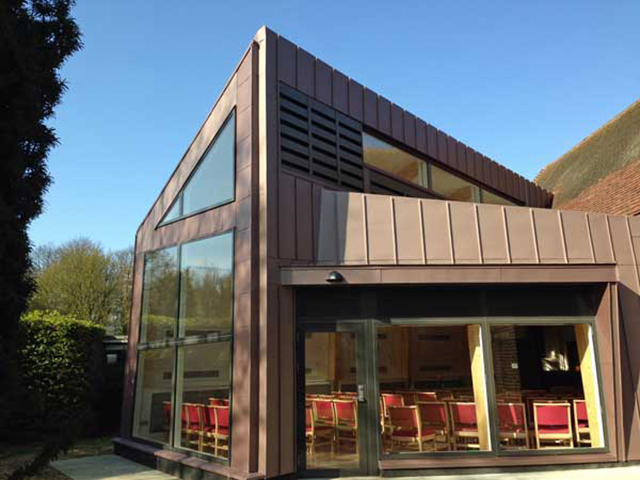 This is a two-phase project at Medway Crematorium in Chatham, Kent, involving an extension on both sides of the existing building. 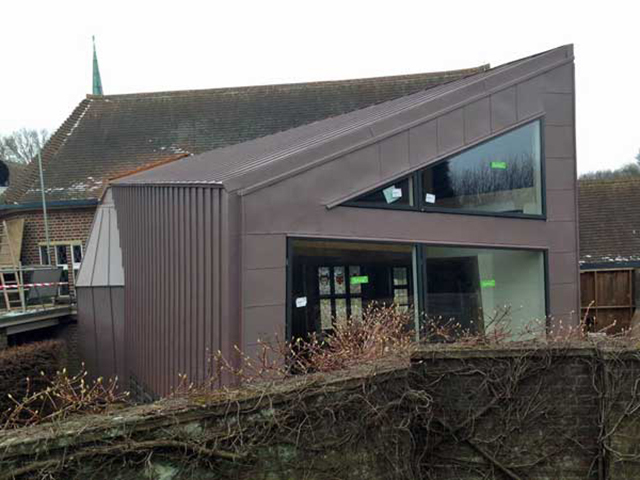 We have completed the East side and will return in June to work on the West. 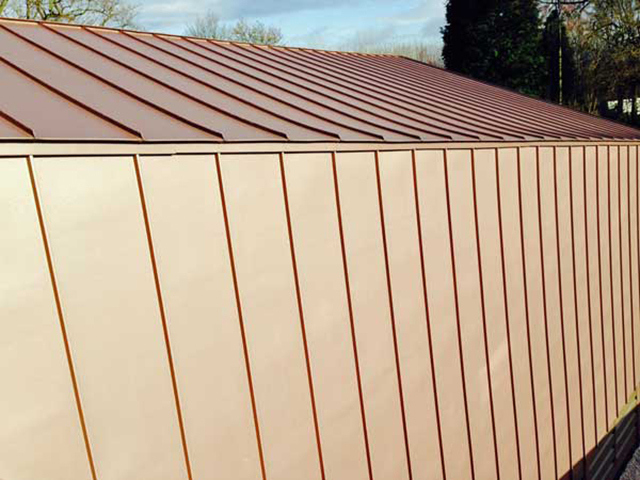 Uses VM Zinc’s Pigmento Red which has a pigment added to the metal to give a subtle colour tone to the zinc. 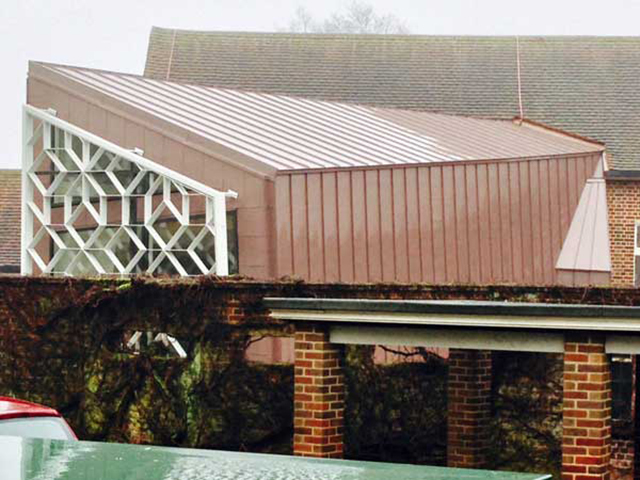 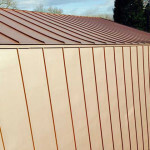 The roof is a warm construction so the zinc panels are fixed through the insulation to the ply below – special fixings are used to eliminate cold-bridging.